For over twenty years, Landis+Gyr has developed metering systems, communication and metering devices together to create reliable and cost efficient solutions for advanced automatic meter reading (AMR). This experience has created the MS400 substation, which is a part of our AIM MV solution. 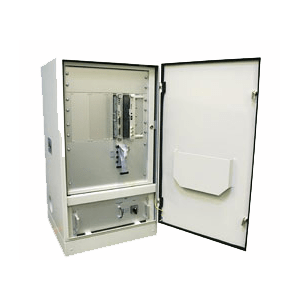 The MS400 substation is the backbone of medium voltage power line carrier (MV PLC) communication, tying together the AIM system and metering devices. MV PLC investment and operating costs are the lowest because it is based on an already existing infrastructure, the electricity network. The communication media is known and managed by the network company making the management and implementation simple. MS400 and MV PLC provide reliable two way communication over long distances. The communication distances can be as long as 30 km. MV PLC is also a proven technology; it has been used successfully since 1985 in countless locations. It is incredibly stable against over-voltage and interference in the network. These benefits together make MS400 with MV PLC especially effective in rural areas, where communication distances are long and population density low.